The test case is extracted from a large hierarchical design. RTL changes affect 6 flops and 6 output ports. 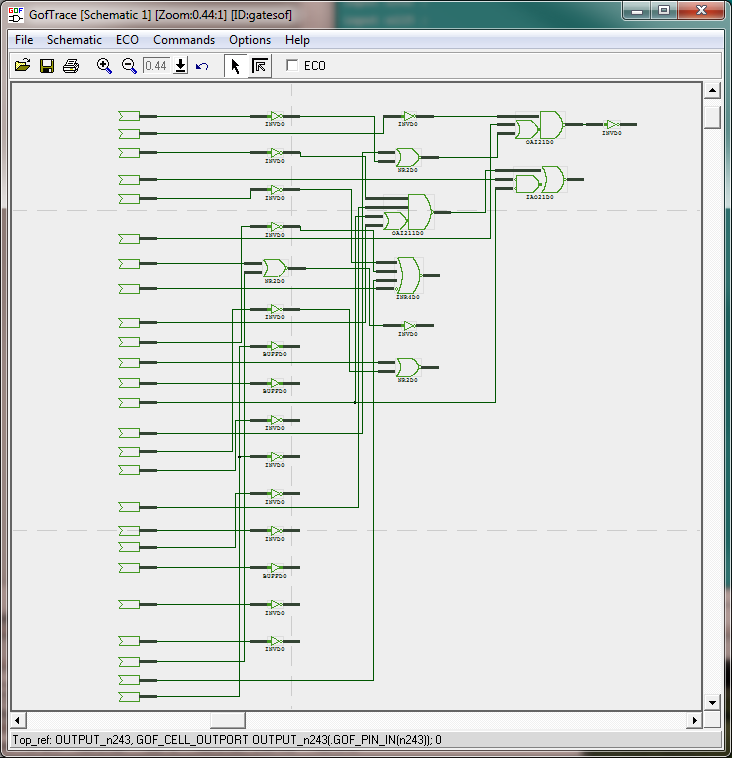 GOF auto ECO uses 24 cells 4.7 in area to fix the logic, while conformal ECO uses 76 cells 20.3 in area to fix the logic. To be fair in comparison, all cells in ECO use driver 'D0'. GOF generates a patch having 24 gates in total. 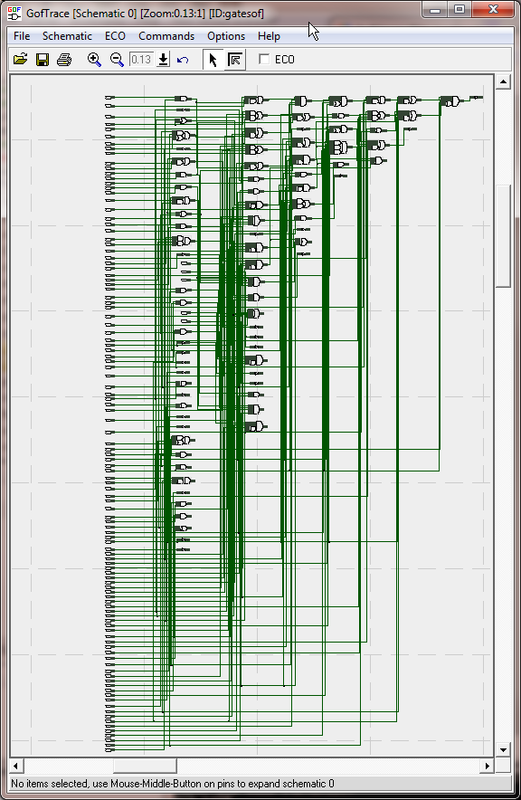 While Conformal ECO generates a big patch with total 76 gates.